Your pet bird may have been with you for a number of years. Many parrots can live upwards of 20 years and over that period of time they can become loved and treasured family members. You and your family may form strong bonds with your avian companions that are not easily broken. Inevitably, there may come a time where you have to deal with the death of your avian friend. Hopefully, this is just a consequence of aging and the circle of life and not due to any tragic accident or mishap. No matter how it comes about, the death of your pet bird can be a sad and trying time for you. Let’s look at a few different ways that can help you move on after your pet dies. We will also investigate what you should do with your bird’s body after it passes away. 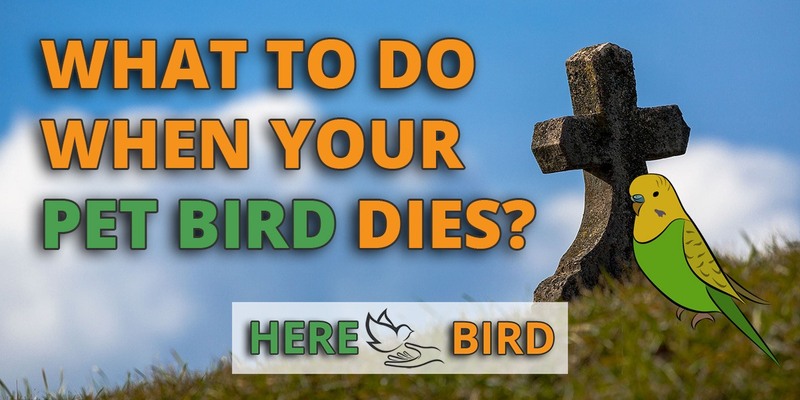 There are a number of options you have regarding disposing of your bird’s body after it dies. Some of them take into consideration how your bird expired, and some are meant to protect any other birds that you own. If your bird died of old age or some kind of tragic accident, there is no need to have you bird autopsied. On the other hand, if your bird died suddenly or was taken ill at an early age and died, you may want to know the reason. This can also be critical if you are a breeder or just a bird lover who has multiple birds in your home. In this case, an autopsy may help save the lives of other birds. Burying Your Bird – Many people choose to bury their pet birds somewhere on their property. You need to avoid any areas that may be used as a vegetable garden and make sure the grave is deep enough and protected from scavengers. This guide by wikihow.com outlines the process in detail. Cremation – Cremation is another way that you can memorialize your pet and keep a remembrance of them with you forever. Most veterinarian offices can put you in touch with a pet cremation service. It is relatively inexpensive and can offer some comfort as you deal with the grief that accompanies the death of a pet. Taxidermy – Though not for everyone, some pet owners may opt to have their bird sent to a professional taxidermy studio for preservation after death. Autopsy – As mentioned previously, if you need to know the exact cause of your bird’s demise then you should send it to an avian vet for an autopsy. According to plannedparrothood.com, there are some steps you need to take immediately to preserve your bird so an autopsy can be performed. You need to refrigerate the bird until the time you bring it to the vet. Freezing the body will make it impossible for a proper autopsy to be performed. Based on the findings, you may need to take action to ensure your other birds remain healthy. Take a photo of your bird at rest – This can be comforting in the future as you have a chance to once again look at your bird and remember better times. Create a memorial – Online memorials are popular and can be a nice place to collect pictures and videos of your pet. Sites such as petloss.com might offer some solace at this trying time. Don’t try to immediately move on and treat your bird’s death as if it is not important. You need time to grieve and creating a memorial or another remembrance of your pet is a step in the recovery process. Donate to a local animal charity – Make a donation in your bird’s honor to help other animals who may need assistance. Plant a tree or shrub in your bird’s honor – Find a place on your property for a new tree or shrub. As you watch it grow you can recall the good times you had with your avian companion. Remove your bird’s things – Move their cage to your garage or basement or a place where you are not seeing an empty cage every day where your pet used to live. Even if you plan on getting another bird at some time, this is a way to get through the interim. You should not consider getting a new bird right away. Let some time pass and see how you really feel about going through the process again. Your bird may have had a cage mate or mates. It may have bonded closely with another bird or been part of a mated pair. When a bird dies, you should expect its mate to go through some depression and modify its behavior for a period of time. According to petcha.com, these changes will be short-lived, as birds tend to be better than humans at living in the here and now. 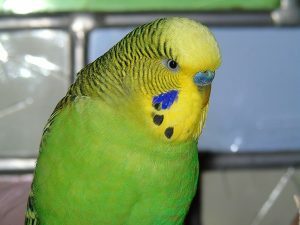 Some of the issues may be minimized by allowing the cage mates to see the dead bird, though you do not want to take the risk of exposure to disease if that is suspected. You should expect the remaining birds to call for their missing companion and search for them. This may continue for several weeks, and you can help calm them with soothing words and giving them more attention. Your birds may also not eat as well or be interested in the same level of activity as they were when their friend was alive. In most cases, this too will pass with time, and your bird will get over this traumatic episode in its life. In time you may decide to get another bird. Keep in mind that it will be different than your last bird, even if it is the same species, so do not put unrealistic demands on your new addition. Be aware of how any remaining birds take to the new flock members as well. Your new family unit will grow stronger over time, and though you should never forget the pet that passed away, you will be able to move on and continue through life.